Meet rosemary, the best evergreen shrub for those not so gifted with growing plants of any kind. I Get Emails From Tyler Perry!!! What do you love about emails? Me? Well, I love getting personalized male mail delivered right into my electronic mailbox. Of course, like most of you, I do get my share of spam mail, you know, the ones advertising Viagra and other, “oh come on, does anyone actually order from these places?” type email. Anyway, my recent “happy” mail came from one of my favorite celebrities. See if you can guess who this mystery person is. My mysterious celebrity is a tall male American actor, 6 feet 5 inches, he occasionally performs in drag; is a director, screenwriter, and author who has written many stage plays and to top it all off, is a songwriter. 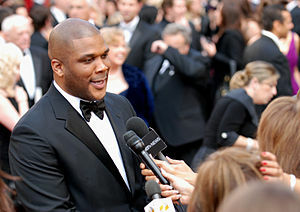 If you guessed this celebrity as Tyler Perry, you so guessed right! Of course, you can too, but please, for the moment, leave me to the dream that the email in my box is only between Mr. Perry and me. I tell you, if you ever receive an email from Mr. Perry, you would think he was like your best friend. First, he always addresses your email by your name and second, as a best friend would do, he writes on things that should matter to you in life. For example, probably one of you reading this post may have gotten this same email from Mr. Perry. As you read it, you would think, like I have, that you are the only thing that matters in Mr. Perry’s world and how he lovingly implores you to search out exactly “what kind of person you are” in the sphere of life. If you can find some people in your life who are like the roots of a tree then you have found something special. Like the roots of a tree, they are hard to find because they are not trying to be seen. Their only job is to hold you up and help you live a strong and healthy life. If you thrive, they are happy. They stay low-key and don’t let the world know that they are there. And if you go through an awful storm they will hold you up. Their job is to hold you up, come what may, and to nourish you, feed you and water you. Just as a tree has many limbs and many leaves, there are few roots. Look at your own life. How many leaves, branches and roots do you have? What are you in other people’s lives? (Did you see that? He said he loved me!!! ) Okay, I probably never will meet in this lifetime , Mr. Perry, ever, but receiving his thought-filled emails every so often makes me feel so darn important and I hope it is whipping me into a better person. Specifically, from this email, I hope I am (becoming) a root, and not just a leaf or branch, in your blogosphere world. This week’s Weekly Writing Challenge: Mail It In | The Daily Post at WordPress.com really was a challenge…who knew one could actually send a post from your email!?! I wanted to try two new things today. First, a quick post for the Daily Post Writing Challenge, the theme being, The Sound of Blogging, and second, in the dashboard section, compose a quick post. Of all the sounds in the world, the most intoxicating to my soul and sends me leaping with delight, is no other than the dear sounds from God’s gift to the world, the horse! I love how some writers write exactly what you are thinking. Have you tried anything new on your blog recently? What was the best sound you ever heard? Here are the three books I hope to finish reading soon, one for sure since it is a daily prayer booklet and if I do not finish it–shame on me! Here on a comfortable spot I begin the journey, page after page, my mind flows over so much wisdom. Julia Cameron comes first with the words to encourage the use of the morning pages–it is free writing on anything and it should fill up three and a half pages. Here I have all the intentions to read. It is here I want to grab a few laughs with the book, 50 Funniest American Writers, practice the art of writing with, The Right to Write and of course, my morning coffee and prayers with, Give Us This Day and my last goodnight prayers with, Give Us This Day. Life here seems so short and I feel time must be used wisely. Here I want to complete three reading materials soon and what do hope to finish, soon? If you enjoy writing challenges, please join, Lisa-Jo Baker – tales from a Gypsy Mama and a wonderful community of 5 minute Friday bloggers! Roxy lost her life yesterday. She was a foxy feathered friend who gave an egg a day, kept the bug population under control and was a constant companion to our one rooster. The cause of her death is unknown and being a very young chicken, age was not a factor. I suspect the extreme heat wave lingering over this land (with day temperatures brewing in the triple digits) may have been a factor. It is difficult to keep outside animals from heat related injuries and fatal mishaps during extreme heat temperatures. A regular, fine mist, water sprinkler throughout the day, I guess, was not enough to keep Roxy cooled down. I just do not know. It was a sad day anyway, especially for her rooster companion. I also found myself tearing up just the thought of Roxy passing without anyone outside to help her. I know Roxy was just a hen, and around here, hens are easy to come by, but somehow, have you noticed when you give a name to anything, it seems like the named item becomes the Velcro that sticks itself to your heart? Maybe next time I will cautiously give a name to anything that may strongly attach to my heart. Away with you, Velcro! Arrgh. Have you ever named something and later found your heart grieving when their final time came sooner than expected?